When you want a picture perfect diamond ring sitting your finger, loose diamonds will be your Savior. You read that right- loose diamonds are a better option for wedding rings than an actual ring itself. Want to know how? Read on to find out. Shopping for an engagement ring can become overwhelming. The wide range of choices, trends to follow, personalities to match, and traditions to keep can make brides nausea beyond measure. But if you buy diamonds separately, you get to solve all these dilemmas, easily. You can pick the shape, color, carat, cut of the diamond and have it fit in the ring that has been in your dreams, forever. Buying loose diamonds can be a cost-effective way to find the gemstones you’re seeking. The savings you make could be invested in making other things possible for the engagement and the ring! You can get not just a better quality gem stone but a better, gorgeous setting that will blow your girlfriends’ minds. You would have inspected the diamond before it will be mounted and you save any future repairing costs. A preset gem does not allow the flexibility that loose diamonds have. It liberalizes the buyer to create his or her setting, which might even resemble the dream you had for it. The diamonds’ subtle variations in length-to-width ratio causes a buyer to fall in love with a specific stone. 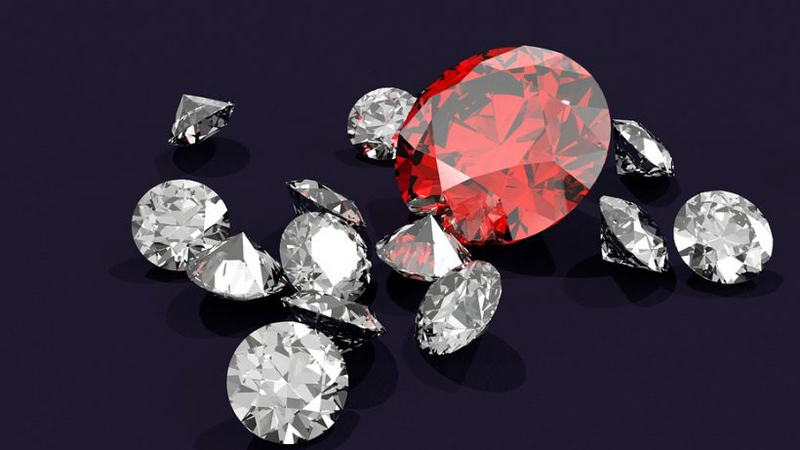 Loose diamonds give you a greater scope in finding precisely what you’re looking for.